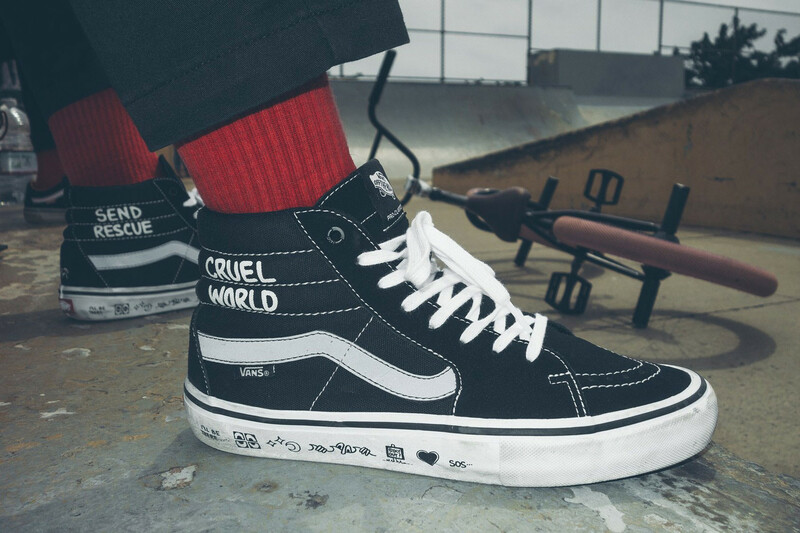 Robbie Morales’ CULT Crew BMX label has collaborated with Vans for a limited edition capsule collection. 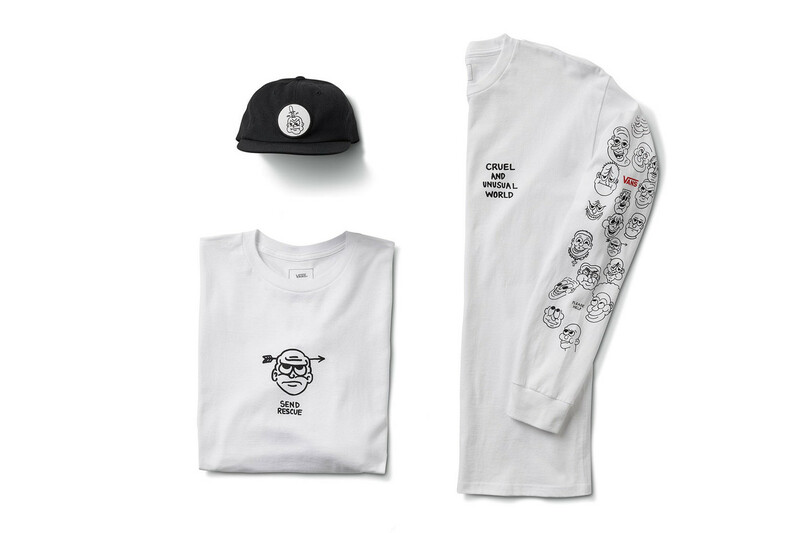 Releasing in the form of a tee, long-sleeve, cap and SK8-HI PRO, the collection sees CULT’s signature logo mixed in with text that’s under the theme “CRUEL WORLD SEND RESCUE.” Whimsical hand-drawn characters are seen on the front of the shirt and cap, while an assortment of characters are portrayed down the sleeve of the LS-tee. The Vans SK8-HI PRO receives a little extra special attention, as seen in the the CULT logo embroidery at the heel. Other additional details include text at the ankle and hand-illustrations at the side, just below the shoe’s foxing stripe. Releasing at the same time, CULT has dropped a quick edit to celebrate the release; filming at a place the crew holds dear – Hawaii.